Carefully and sensitively researched, A Cruel Captivity describes the ordeals of, and lasting impact on, survivors of Japanese captivity. 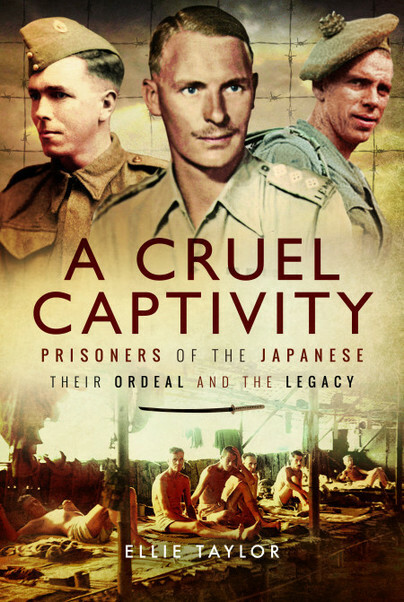 Differing in a number of respects from other moving POW accounts, this book covers the experiences of 22 servicemen from the Army, Royal Navy, RAF and volunteer forces who were held captive in numerous locations through South East Asia including Thailand, Burma, Hong Kong, the Spice Islands and Japan itself. Some had to endure the inhumane conditions during hazardous journeys on the ‘hellships’ and all suffered appalling cruelty, starvation, disease and prolonged degradation on an epic scale. Yet these were the fortunate ones – many thousands perished and their graves were unmarked. The book also examines the differing mental and physical effects that the prisoners’ captors’ cruel treatment had on them. The author’s handling of the ‘legacy’ of their experiences during the post-war years makes this moving book particularly important. For a full understanding of this dreadful aspect of the Second World War, A Cruel Captivity is a must-read. Book price: £15.99 introductory offer. £19.99 thereafter. The book can be bought from Pen & Sword Books.